They gave me good service and understood the technical requirements for the project. They came out and did the work. It was a seamless experience. The owner, Jeff Kendal, is a really nice guy and a pleasure to work with. They were very prompt in providing quotes, scheduling the job, and the installation. The product was top quality. Good customer service and quality product, the owner contacted us directly and provided personal service. The quality of the work was good. 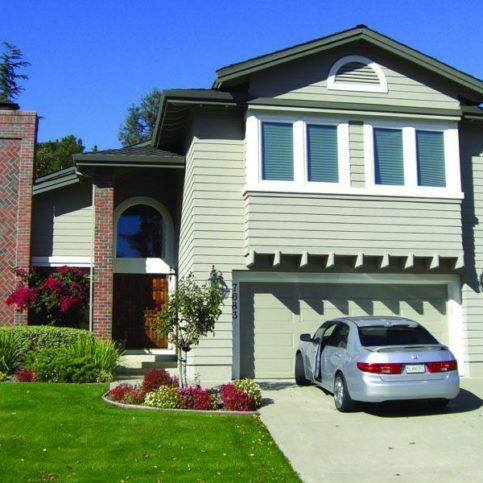 Custom Exteriors, Inc. offers full-service home enhancement services to clients throughout the Bay Area. 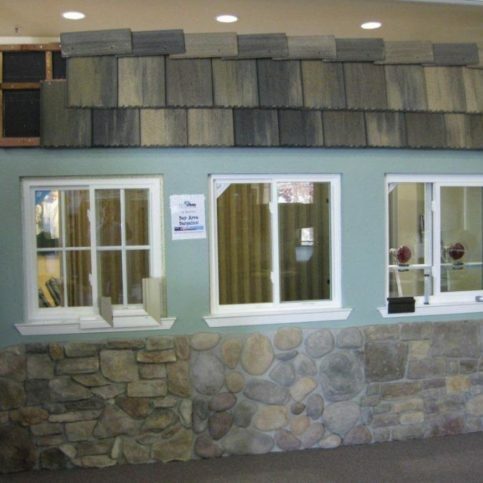 In addition to specializing in windows and doors, the company focuses on stucco, stone and fiber cement siding. It provides free in-home evaluations and estimates, and it also offers exterior design services using photos of clients’ homes to show them what their completed projects will look like. 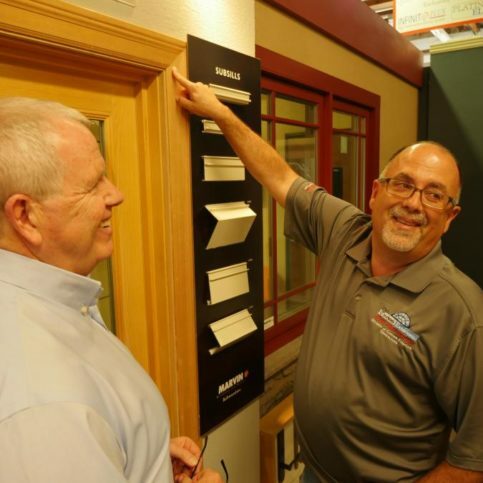 Owners Jeff Kendall and Kevin Gundry founded Custom Exteriors in 1997 with a simple business concept in mind: providing the best available home improvement products at factory-direct prices; hiring only professional, licensed sales staff members; and installing new windows using certified master installers who work exclusively for the company. 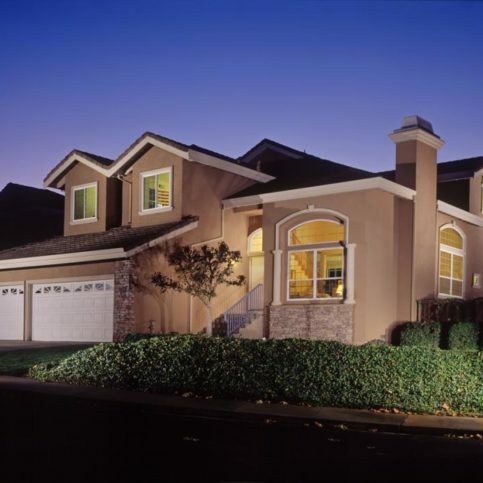 Custom Exteriors’ Home Performance division helps Bay Area homeowners improve the energy efficiency of their homes. Using PACE finance programs HERO, CaliforniaFIRST and Ygrene, qualifying homeowners can upgrade their homes with improved performance from windows, doors, insulation and even fiber cement siding. “Working with our PACE partners, we’re the single destination for our clients’ energy-efficient exterior home improvement projects,” says Mr. Kendall. DIAMOND CERTIFIED RESEARCHED CAPABILITIES ON Custom Exteriors, Inc.
Company Name: Custom Exteriors, Inc.
DIAMOND CERTIFIED RESEARCHED ARTICLES ON Custom Exteriors, Inc. Custom Exteriors installed new windows and stucco on this home. 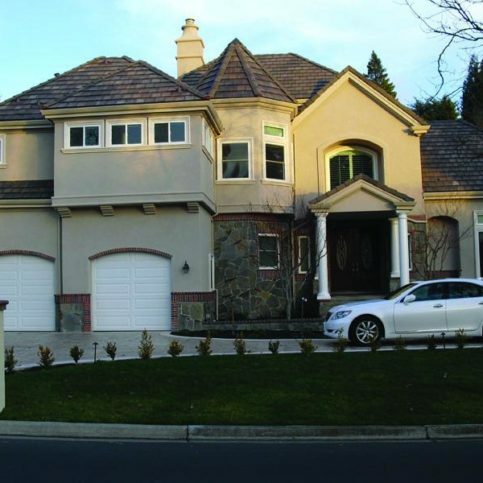 Custom Exteriors’ expertise is multi-faceted–the Pleasanton-based company takes a full-service approach to home enhancement, specializing in windows, doors, stucco and stone, attic insulation, and roofing. 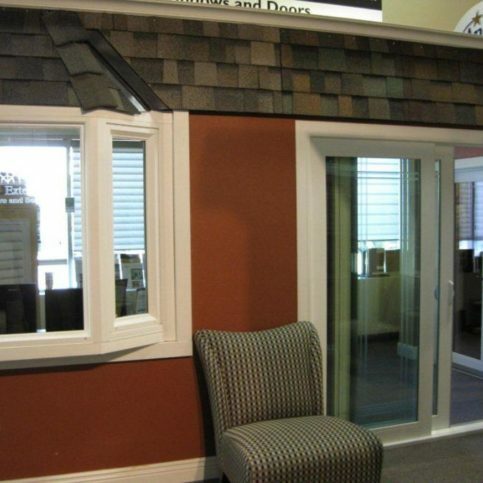 It also offers free, in-home evaluations and estimates, and its showroom has gained recognition as one of the region’s most complete and accommodating. “We’re convinced we have the best showroom in the Bay Area,” says Mr. Kendall. 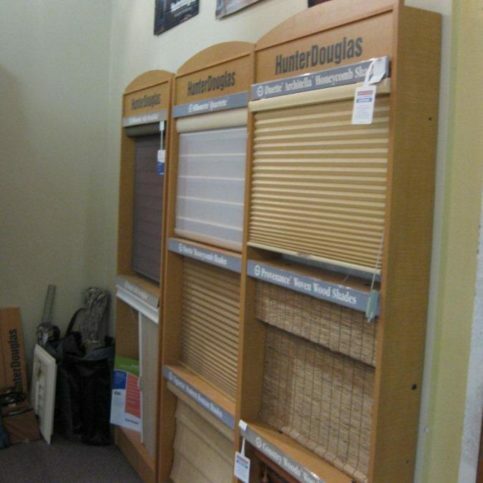 “Customers can come in and get a real feel for our company. 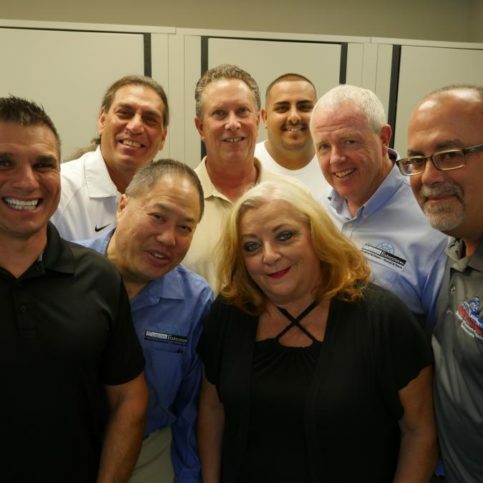 Custom Exteriors has completed more than 12,000 Bay Area jobs since its inception, a consistent presence that Mr. Kendall attributes to the loyalty of his customers. “They’re our biggest award,” he says. 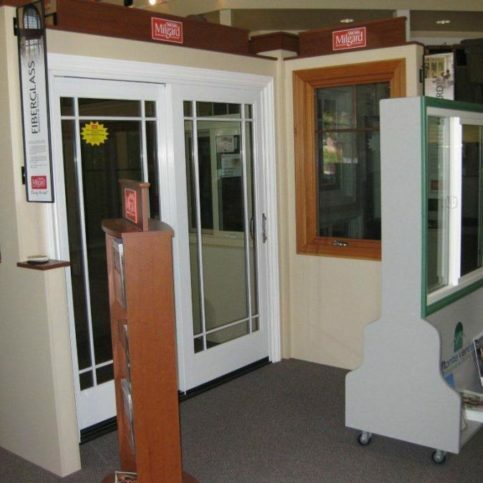 “Sixty-five to 70 percent of our yearly business comes from referrals of satisfied customers, which says a lot.” The company has also garnered praise from the home improvement industry’s national media– Window & Door magazine named it “Number One Consumer Window Company” in 2006 and “Installation Company of the Year” in 2009. 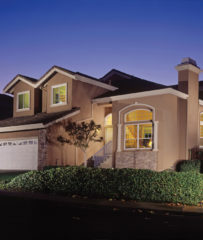 SELECTED PHOTOS FROM Custom Exteriors, Inc. Custom Exteriors was contracted to replace the windows and wood siding on this home in Dublin. 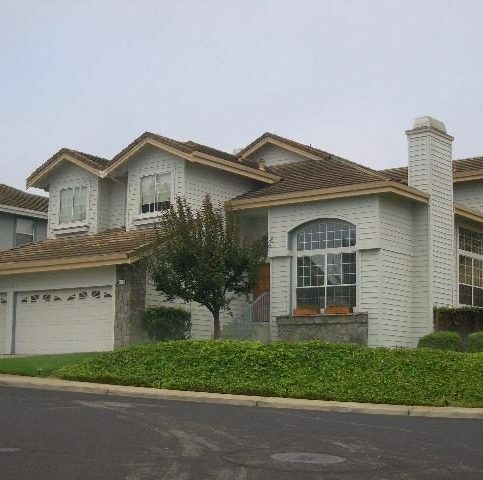 Custom Exteriors installed the windows on this house in Pleasanton. Kevin Gundry is a 28-year veteran of the home improvement industry and CFO of Custom Exteriors, Inc., a Diamond Certified company. He can be reached at (877) 312-3507 or by email. When he’s not working, Kevin likes to spend as much time as possible outdoors. “I’m a big backpacker—I probably backpack 100 miles every summer,” he details. “My goal is to backpack along the entire Pacific Crest Trail from Mexico to Oregon, and every year I do another chunk of it.” Besides backpacking, Kevin enjoys fishing, camping and spending time with his family. Why get thicker glass? The biggest advantage is the improved sound suppression. Upgrading your window glass from standard to triple-strength over double-strength will make your home interior much quieter. This can be especially advantageous if you live near a busy road or have noisy neighbors. So, if you want to enjoy a more peaceful home environment and sleep more soundly at night, be sure to ask about sound suppression when looking for new windows. PLEASANTON — Double-pane windows have come a long way over the last decade, with today’s products incorporating several performance-enhancing innovations. One such innovation is the development of Low-E 366 glass, which contains layers of silver oxide that reflect radiant heat and filter out UV light. These enhanced properties make the glass far more thermally efficient than conventional glass. In addition to improved glass, today’s double-pane windows feature non-conductive spacers that don’t conduct heat and cold like their metal precursors. There’s also argon, a colorless, odorless gas that further improves window insulation and performance when inserted between the panes. Additionally, homeowners can ask for soundproof windows that block out noise with the combined power of double- and triple-strength glass. The average double-pane window from 10 years ago doesn’t have any of this technology—usually, it’s just two panes of single-strength glass separated by a metal spacer. In fact, many older double-pane windows are now failing, often due to moisture seeping in between the panes. 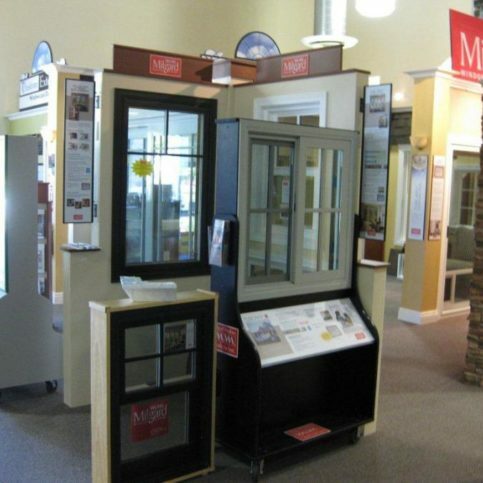 Whether your windows are failing or simply underperforming, consider upgrading to a more modern product. Not only will it save energy, reduce noise and improve comfort, it may also increase your home’s resale value. Diamond Certified Expert Contributor, Kevin Gundry: Most homeowners, when they get new windows, they’re getting windows with double-paned glass. What they don’t know is that a lot of windows come with just single-strength glass. It’s just what you see right here, which is a sixteenth of an inch thick. They get two panels of glass and they think they are getting the best technology. Unfortunately that’s not altogether true, because what you want to make sure is not only are you getting double-paned glass, but you get glass that is – has a thickness of double-strength glass on one panel of glass, and then triple-strength glass on the second piece of glass. What that does is that helps with sound suppression from the exterior noise of your home. If you live next to a freeway, or if you’re close to a busy road, or you have noisy neighbors – something that keeps you up at night or something that you can hear through your windows – by just upgrading your glass package in your windows from just a standard double-paned glass to what you see right here, which is triple-strength over double-strength glass will give you the latest in technology for sound suppression. Makes a big difference, gives you a better, quieter home, easier sleep at night. I highly recommend it. So makes sure you ask about sound suppression when you’re getting new windows for your home. PLEASANTON — Host, Sarah Rutan: Even if your home has double pane windows, if they’re more than 10 years old, you aren’t getting the benefits that modern products have to offer. Today we’re in Pleasanton with Diamond Certified Expert Contributor Kevin Gundry of Custom Exteriors to learn more. Diamond Certified Expert Contributor, Kevin Gundry: Double-paned windows have changed drastically just in the last few years. If your house is about ten years or older, it’s a good idea to take a look at the new upgrades that have been made on double-paned windows. For instance, a lot of the newer windows today have Low-E 366 glass with argon and non-conductive spacers. And then we also have now what’s called a sound package, which is double-strength glass combined with triple-strength glass, which gives you a better overall performance against allowing noise to come through the windows. A lot of your older windows that are in homes actually don’t have any of this technology. You have double-paned windows, but, unfortunately, a lot of it’s with single-strength glass– just clear glass– and a metal spacer bar in between the panes. And in fact, many of these windows are failing because there’s moisture getting in between the panes of glass. So, if you have a house that was built more than ten years ago, you have metal spacers, you may have either a vinyl-framed window or an aluminum-framed window that is hard to open and close and feels like there’s a lot of heat coming in, it’s a good idea to take a look at the new technology that’s out there today that not only is going to make the window open and close better and sound better and look better, but also is going to save you energy and save you money in your pocket and make your house much more energy efficient and bring up the resale value of your home. 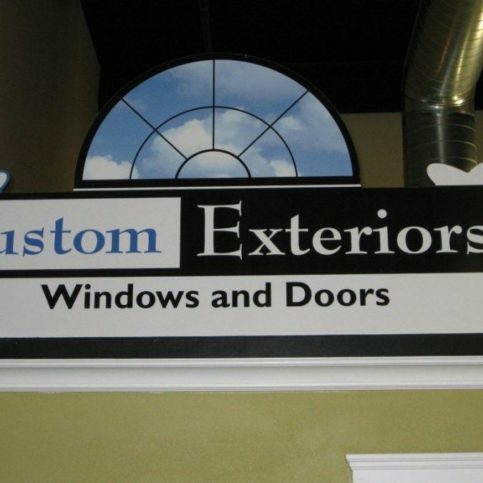 Jeff Kendall is president of Custom Exteriors, Inc., a Diamond Certified company. He can be reached at (877) 312-3507 or by email. A resident of Lafayette, Jeff spends his time outside of work on a variety of pastimes. “I’m a passionate golfer, an avid fisherman and a sports nut,” he lists. “My favorite sports teams are the Cal Bears, the 49ers, the Giants, the Warriors and the Sharks.” Jeff also enjoys spending time with his wife, Donna, and their three children and two grandchildren. A: I would go to St. Andrews in Scotland to see the castles and play that famous golf course. A: Thanksgiving, because I get to be around the people I love most. Plus, I don’t mind the four-day weekend. A: The Beatles—I listen to them just about every day. One reason it’s important to hire a company that’s experienced with permits is the complexity of modern building code. For example, at least one window in any residential bedroom must qualify as an “egress window,” which means an occupant can easily climb out in the event of an emergency. What’s more, the window must meet four specific criteria to fulfill this requirement. Also, all window and door glass within 18 inches of the floor must be tempered safety glass, which is heat-hardened to increase durability. When you apply for a permit, these kinds of details need to be laid out in the submitted plans. If this isn’t done correctly, you could be looking at substantial project delays. A less experienced (or less conscientious) contractor is more likely to make a mistake than one that’s well-familiar with building code requirements and the permitting process. One additional consideration regarding the permitting process is the city or county you’re dealing with. In most cities, you can get permits turned around fairly quickly, but in others, it can be difficult and/or time-consuming. For example, if you live in Oakland, you’re looking at about a 30-day turnaround time for permit approval. By working with a contractor that’s familiar with your local building department, you’re less likely to experience delays due to this factor. Diamond Certified Expert Contributor, Jeff Kendall: A helpful tip for homeowners looking to replace their windows, siding or stucco is to choose a company that takes care of the daunting permit ordeal that most cities and counties can put a homeowner through. There are Title 24 questions, there are floor plan questions, there are material questions, and it’s very, very important to choose a company that has the experience to get through all the requirements that are needed to obtain a building permit for your home improvement project. Grayeagle Porter is a design consultant at Custom Exteriors, Inc., a Diamond Certified company. He can be reached at (877) 312-3507 or by email. A: I got a job as a roofer when I was 14. I was so excited to be making $2.35 an hour! A: My absolute favorite artists to sing are Frank Sinatra, Dean Martin, Engelbert Humperdinck and Tom Jones. If it were my choice, I’d be a Michael Bublé-type performer. A: The past. I would probably go back to America about 800 years ago when there was nobody here but us natives. A: I like to read, go over music or go to the movies. A: I collect things from my children, godchildren and grandchildren. I taught my kids that the greatest gift you can give is something you’ve made yourself, so I have all kinds of drawings, collages and other art pieces they’ve made. 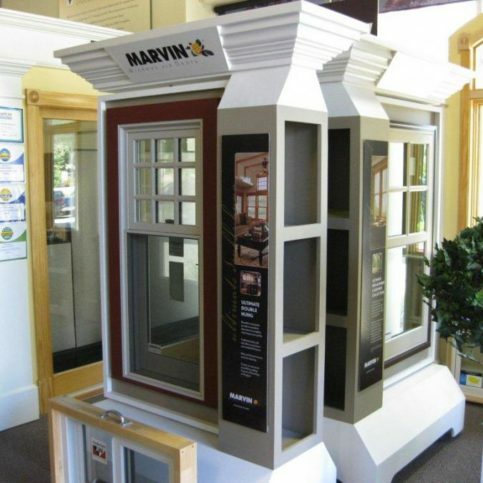 The quality of vinyl windows has improved considerably during the last 20 years. The main criteria for homeowners who choose vinyl are affordability, thermal efficiency and minimal maintenance. 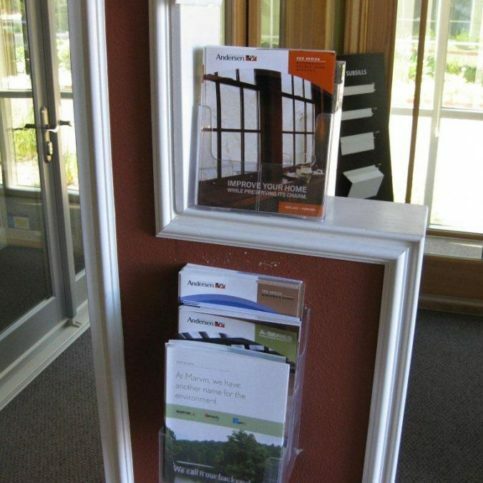 Additionally, vinyl windows are easy to install (via retrofit or new construction) and come with a lifetime warranty. 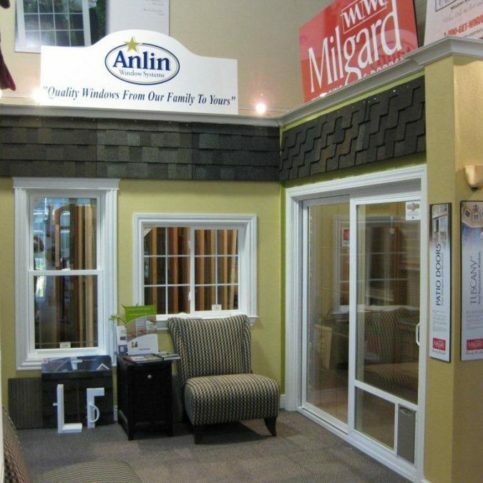 The main drawback of vinyl windows is the limited design and color options. Fiberglass is the strongest window frame material on the market—eight times stronger than vinyl. Unlike vinyl, fiberglass can be painted, and since it’s a natural product, it’s a good choice for environmentally-conscious homeowners. Because of its strength, it’s not easily damaged and will perform for a long time following installation. If aesthetics are a primary concern for you or your home has a distinct architectural style, wood windows are an ideal choice. Basically, they’re the equivalent of hanging fine furniture on your walls. 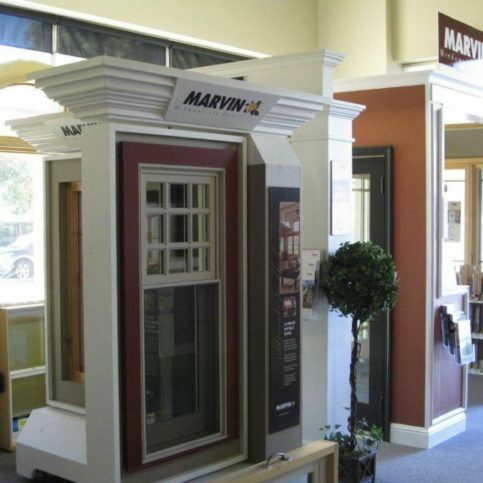 With wood windows, there’s an endless number of custom options for design, colors and stains. Additionally, wood windows exceed all national and local energy efficiency codes, so your windows will perform as good as they look. 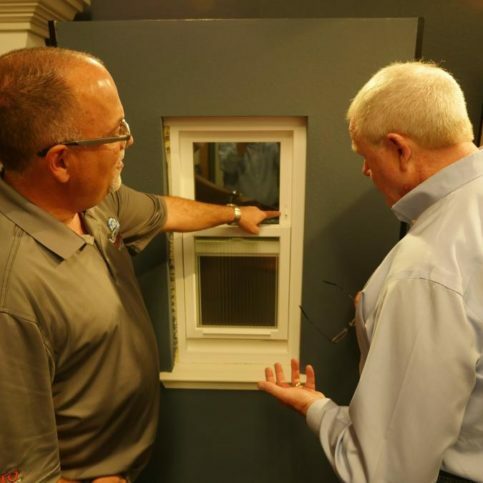 Diamond Certified Expert Contributor, Grayeagle Porter: When buying windows, sometimes it’s very difficult to discern what type of window should I have. What would work best for me? What is my criteria? Well those are all good questions since the – the industry has a lot – lot to choose from. I think to break it down into categories would work best, and just talk a little about each one of them and what criteria they serve and what would be best for you. So I’ll break it down into three different categories, vinyl, fiberglass and wood windows. So let’s start with vinyl. Of course there’s been a lot of talk about vinyl in the past, the quality of vinyl has changed considerably in the last 20 years. The quality has gotten a lot better. So the criteria usually for vinyl is, I want something that’s affordable, I want something that’s thermal efficient, and something that I don’t want to maintain or have to worry about again, something that has a lifetime warranty. But with vinyl comes, you know, limitations of color. You can get some of them with color on the outside. You can retrofit them, which is a method of installation that’s very easy. Or new construction, which means take out the old frame and put in the new frame. So vinyl is very popular, probably – I’d say 70 percent of all windows sold are vinyl these days, and that’s because of that criteria. Quick, easy, affordable. Very limited options and so forth, and very easy to take care of. So now let’s move in to fiberglass. Now fiberglass is the strongest material you can get for a window frame. It is eight times stronger than vinyl. It is a product that can be painted, and it’s usually a stream-lined kind of product that looks a lot like vinyl. You put them next to each other, sometimes you don’t know which is which. But fiberglass came out of the whole green movement, you know – things that are natural. I want something that’s not made from oil. I want something that’s made from sand which is, you know, very plentiful. And also I want a strong window, that I know it’s going to last, something that’s not going to scratch or gouge – that sort of thing. And of course you do pay a little bit of a premium for that. So fiberglass is an up and coming window, and I’m talking about all fiberglass, not a composition window. Now the final category is probably something I know most about, and that is a wood window. Now if you’re looking for virtually unlimited design options and flexibility and you want to hang furniture on your walls, now you can do that with wood. There’s so many options. There’s so many exceptions. 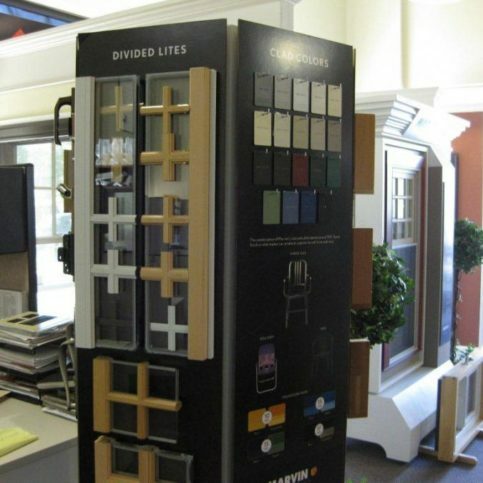 There’s so many things to think about, and of course I’m not going to go into it in this viewing, but if you want stained finishes, if you want 19 different colors on the outside, if you want to meet and exceed all of the national codes and local codes, then wood windows are for you. Again, if you’re looking for something that’s architecturally correct, that has unlimited design options, then wood is for you. David Lopez is sales manager of Custom Exteriors, Inc., a Diamond Certified company. He can be reached at (877) 312-3507 or by email. David’s temporary stint in construction turned out to be a long-term engagement, and over the next several years he became versed in all aspects of the trade. At a certain point, he decided to switch from field work to sales. After gaining experience with a couple of different companies, David was hired by Custom Exteriors, Inc., where he has been for nearly a decade. A: I had a paper route when I was in elementary school. A: I would go to the future, just because I’m always interested in what’s coming next. Wood entry doors expand and contract with changes in weather, which can cause issues like sticking or air gaps between the door and frame. Since fiberglass doors aren’t made of wood, they don’t fluctuate with the seasons, which avoids these types of issues. Because it has a foam core, a fiberglass door is denser and more energy-efficient than a conventional wood door. A fiberglass door offers comparable strength to a steel door, but without steel’s cold aesthetic. Fiberglass doors also resist dents and retain their color longer than wood doors (which require ongoing repainting/recoating). Fiberglass doors are available in a wide variety of colors and styles, so you’re sure to find one that suits your needs and preferences. Many homeowners are surprised to learn how much a front entry door can affect their home’s resale value. In fact, according to Remodeling Magazine’s 2018 Cost vs. Value Report, a nice front door can increase a home’s value by as much as $18,000. That’s why it’s worth investing more for a high-quality fiberglass entry door. Host, Sarah Rutan: When choosing a new entry door for your home, consider the many benefits a fiberglass door provides. Today we’re in Pleasanton with Diamond Certified Expert Contributor David Lopez of Custom Exteriors to learn more. Diamond Certified Expert Contributor, David Lopez: My tip for the day is going to be about entry doors, and one of the main reasons why people pick fiberglass entry doors is because of their longevity. A lot of folks will tell us when we get to their house that they want to replace their door because in certain times of the year they either get stiff or they have gaps around them, and fiberglass doors hold up much better. And maintenance – a lot of folks tell us that they don’t like to have to keep maintaining their doors, where fiberglass will hold their color – either it’s paint or stain – much longer. And they are much more insulating as well. So as far as energy savings a lot of people are trying to do fiberglass doors because of the energy savings. Because it is a foam-filled door, so it’s a lot better than just having a wood door that, you know, might get cracks in it and things like that. Also people like to have the strength of steel, but they don’t like steel because it’s such a cold door. Where fiberglass has the strength of steel but it doesn’t have the ability to have cold or it doesn’t have dents, so it’s able to outlast a lot of wood doors and other steel doors and options that homeowners might pick. And there are so many new options for the fiberglass door that allows homeowners to basically have any door that they ever imagined in fiberglass versus the wood that was a traditional door in home owner’s homes. So we like to do the fiberglass door because of the fact that it really adds value to the house. When we see a house, we can see the neighbors and what the neighbors have done and so we’ll pick out designs to help the home owner pick a door that fits their home and also to increase the value of their home. Because the door – it makes a statement to your home. 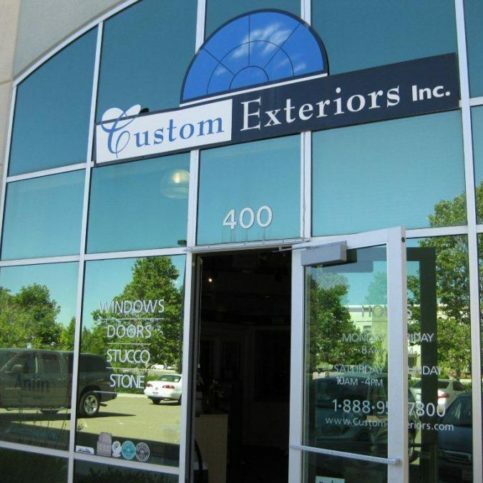 Diamond Certified RATINGS ON Custom Exteriors, Inc. 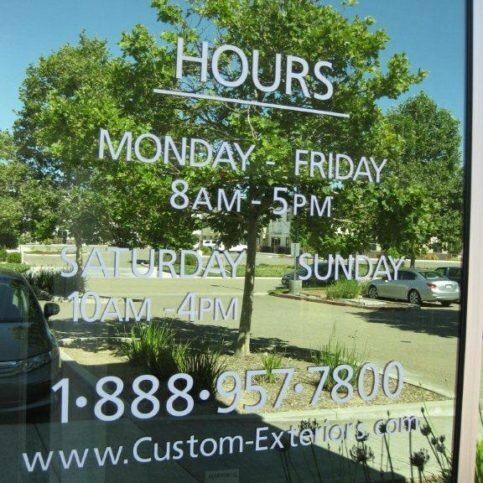 Custom Exteriors, Inc. : Average 9.0 out of 10 based on 504 unique customer surveys of customer satisfaction. This is the second time I've used them, and I plan on using them a third. From the first phone call to the guys in the field, everyone was always on the same page. I liked the owner's involvement. They were courteous, paid a lot of attention to detail, and made sure they got the job done right. They always wanted to make sure they understood what we wanted, and that things were done correctly. I would highly recommend them. They were very professional, courteous, and timely. Everyone was very professional, and they had great customer service. I would say, their professionalism. They did a great job. They were reliable, local, and I would use them again. I liked that the owner came out to do the measurements. The workmanship was great. I was a little disappointed with the time it took from the initial process to the start of the job. They really helped me pick the right product. I thought I knew what I wanted, but we decided it wasn't going to work. They were very helpful. I would tell them to go there. I waited while they did the tinting. I was very satisfied. They did a great job, and it really improved my house. The workmen were very easy to be around, and they also were very professional. They went above and beyond. They were very professional and experienced. They did what they said they would do. They were competent, and they got the job done. They were a very good vendor. They did great work, and they were prompt and efficient. Just what I already said. They really explained the process well. They quality, and the installation was excellent. But there was an incorrect measurement which caused an excessive delay. I would say, the final result stands out. I would tell consumers to definitely have them come and look at your job, but also check out their products. They did what they said they would do with no surprises. They were very professional, used high quality materials, they were on time, and they did what they said they would do. I don't have anything in particular. They were very fast, and they made sure that the job was done right. I think the fact that they were so fast.